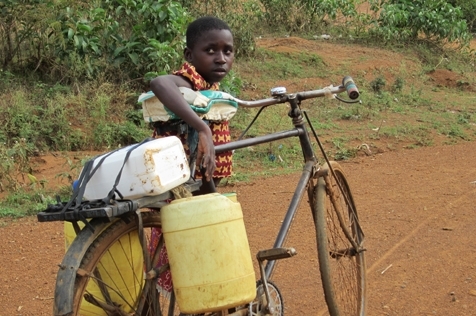 Hydraid filters cut CO2 emissions and provide safe drinking water for families and communities. In rural Kenya, waterborne illness is a leading cause of death for young children, and untreated water is dangerous to people of all ages. Many Kenyans make a daily choice: use polluting woodstoves to purify their water or risk serious ailments. Wood is unsustainably harvested to boil water in Kenya, so burning it contributes to climate change by unlocking the carbon stored in the wood. It also creates significant indoor air pollution. But the Hydraid® BioSand water filter is a safe and practical alternative. It uses centuries-old slow sand technology to remove waterborne pathogens with simple gravity. By purchasing Help Build™ carbon offsets, our clients provided upfront funding for the installation of these water filters—reducing greenhouse gas pollution and bringing clean air and water to families across Kenya. Approximately 2,000 filters were provided to households that boil water for purification in the villages of Siaya and Bondo. With a fully formed bacteria layer and proper use, Hydraid® filters remove 99.999% of parasites, 90%-99.9% of bacteria and 80%-99.9% of viruses from contaminated drinking water. 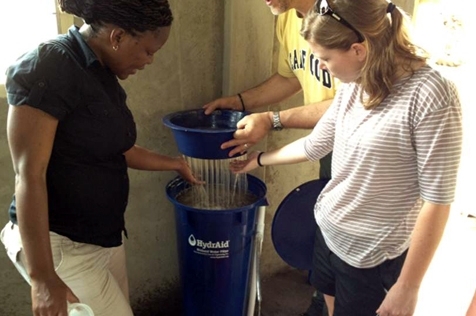 Training in sanitation and hygiene preceded the distribution of the filters. Installation is easy, and there are no moving parts to repair or replace. In addition, no electricity or plumbing is required because the filtration units are gravity fed. 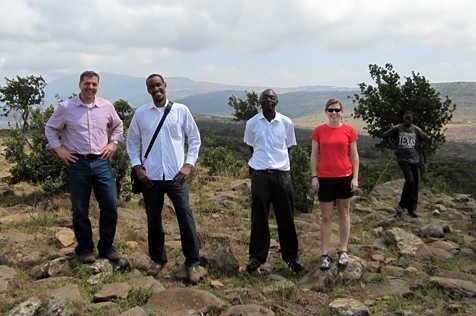 This project is a collaborative effort of NativeEnergy and Viability Africa. The Kenya Clean Water Project is designed to follow the United Nations Framework Convention on Climate Change’s (UNFCCC) protocol for low greenhouse gas emitting water purification systems. The project has been independently validated as a Gold Standard Micro project. Hydraid® is a registered trademark of NativeEnergy, Inc.